Innovative and client-first oriented Forex Software Solutions firm, InvestTechFX is a leading retail foreign exchange dealer that constantly offers the latest release versions of the MetaTrader 4 remote desk control app for the iPhone and Smartphones. In today’s FX industry mobile dealing is one of the most popular forex trading options and mobile apps should be top-of-the-line including a powerful user interface. 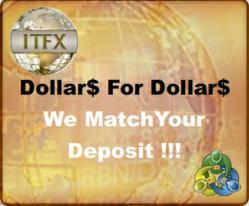 The app allows InvestTechFX clients to trade anytime and from virtually anywhere. The app is a great solution for traders who are focused on their investments while away from a desktop. With built-in privacy and security features on one of the world’s most widely used mobile forex trading platforms, the app allows FX Solutions clients to carry their portfolios in their pockets. Account managers at InvestTechFX are aware that Mobile trading is more popular than ever before and keep-up-to-date with the latest versions running. InvestTechFX is pleased to provide their clients with the newest mobile tool in the app, which provides excellent trade functions and analytics. Designed as a convenient, user-friendly app for skilled traders and forex trading beginners alike, MetaTrader 4 for iPhone, iPad and Smartphons offers many of the features of a desktop application, enabling users to monitor their accounts, stay up-to-date on market developments, access analysis tools and make trades from anywhere with the mobile service available for InvestTechFX clients. InvestTechFX has superior Mobile options for its clients and technology with fast online execution. Their state-of-the-art trading platform not only ensures that every trade a client places is processed in seconds, but also provides traders with a complete record of all their deals and orders together with a full account management report. In addition, part of the package of reports coming off the app includes interactive charting software and portfolio management tools. The app can work from any location in the world, while operating 30 technical indicators, executing all types of orders, receive alerts, financial market news, VGA support and Windows support. The MT4 mobile software solution from InvestTechFX ensures Forex Market trading dependability and can be used in conjunction with specialized Money Manager, IB and White Label services. All clients alike can benefit from InvestTechFX’s tight pip fixed spreads anywhere on the Mobile app. Clients can still take advantage of leverage ranging from 1:100 to 1:500 to permit the use of scalping, hedging options and Expert Advisors or robot dealers from their iPhones and Smartphones. At InvestTechFX it’s all about adding to the trader’s ability to trade, hedge, scalp, and use any type of automated or manual trading strategy with no restrictions on how close stop losses or take profits can be placed to market! All from your phone! InvestTechFX is a leading foreign exchange broker with a focus on advanced trading technologies, transparency of transaction and unparalleled customer service. FX Solutions serves retail clients, institutional trading partners and introducing brokers worldwide. InvestTechFX is a No Dealing Desk (NDD) and Straight Through Processing (STP) Forex company offering an industry leading 0.5 PIP on all 6 majors while trading with the MT4 platform with optional ECN. InvestTechFX offers low account opening minimum with multiple funding options such as Credit/Debit Cards, Moneybookers, Liberty Reserve, Alert Pay, Union Pay, Transfers and more!